Time Bandits was formed in 1981 by Dutch born Alides Hidding, who wrote all songs and sang lead vocals. 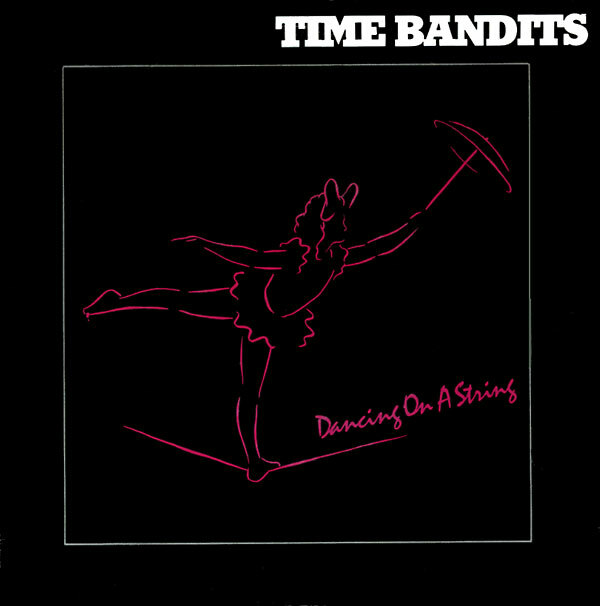 The band’s four albums made the charts all over the world.Time Bandits established a presence on the American music scene with two entries on the dance charts with the #6 dance hit “Live It Up” in 1982 and “I’m Only Shooting Love” which peaked at #2 in 1985. By the mid-1980s, Time Bandits was achieving great success as far away as Australia, where “I’m Only Shooting Love” and “Endless Road” (where its music video was filmed) were both Top 10 hits and are now widely considered ’80s classics. These singles and other hits such as “Listen To The Man With The Golden Voice”, “Dancing On A String” and “I’m Specialized In You” were also successful in the Netherlands, Germany, France and New Zealand (where “I’m Only Shooting Love” hit number one in June 1984). 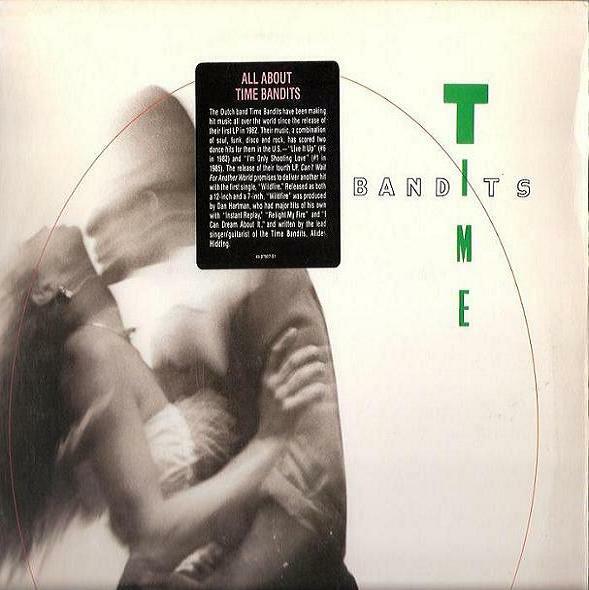 The 4th album by the Time Bandits was released in 1987, titled “Can’t Wait For Another World” , the album was produced by Dan Hartman and released in the UK, US and Netherlands. Dutch pop group “Time Bandits” had a successful career in Europe and for a period in the mid 80’s, this success spread to the US, Australia and New Zealand. Although they are best known in the US and New Zealand for the single “I’m Only Shooting Love” which would reach the #1 spot on the NZ charts and #2 on the US Hot Dance Music Chart in 1985, in Australia this single would hit #9 resulting in a major Australian tour and by the end of 1985, the band would release “Endless Road” as a single and this would become their most successful Australian release, accompanied by a video filmed on the Australian tour, “Endless Road” would go to #5 on the charts. In the UK and the Netherlands, “Endless Road” was remixed by legendary Dutch DJ “Ben Liebrand” and have the US remix by Steve Thompson & Michael Barbiero of “I’m Only Shooting Love” included on the B side. 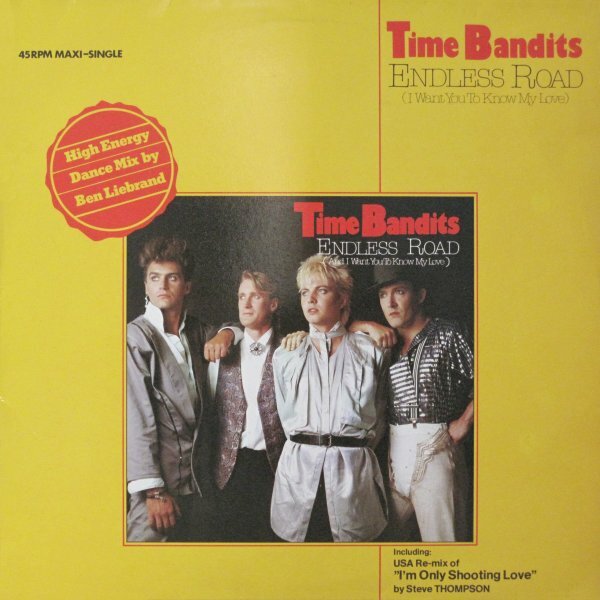 Time Bandits are a Dutch band from the 1980s, best known for their song “Endless Road,” which was played extensively in Europe. The band was formed in 1981 by Dutch born Alides Hidding, who wrote all songs and sang lead vocals. The band’s four albums made the charts all over the world, establishing a presence on the American music scene by topping the dance charts with the #1 dance hit “Live It Up”. The follow-up single to the 1984 hits “I’m Only Shooting Love” and “Endless Road” was “Dancing On A String” which was remixed by band members Kim Haworth & Ake Danielson with Ben Liebrand for the 12″ single release and backed with the Dub Version of “I’m Only Shooting Love” by Steve Thompson & Michael Barbiero.